Professional music stand with adjustable metal upper plate and tripod base. 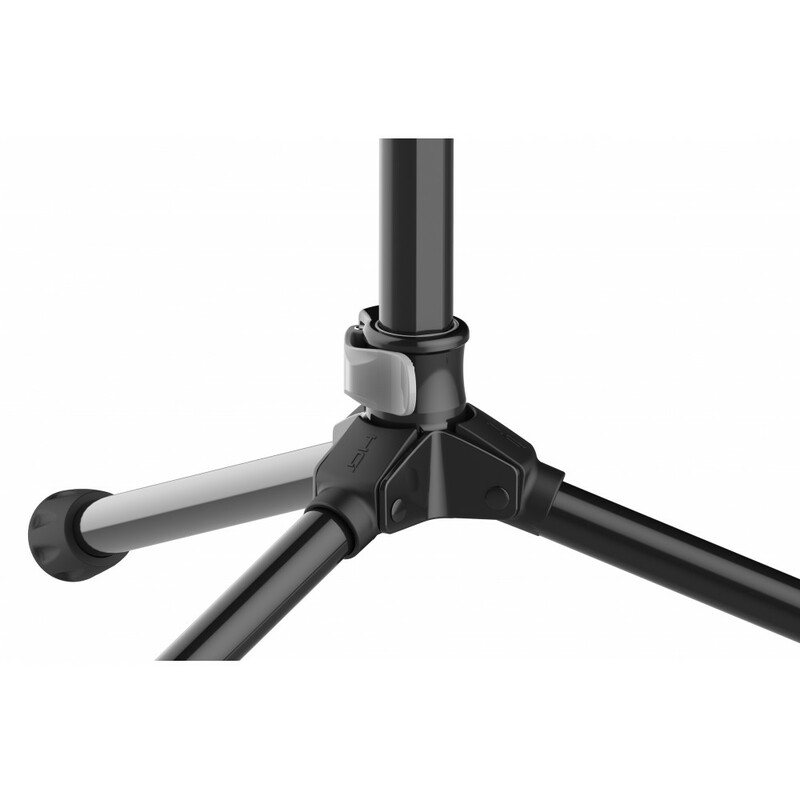 Designed to support heavy weight, it is equipped with all die cast aluminum joints with inner nylon parts, which in addition to ensuring precise and quick adjustments, will increase the stability and durability over time. 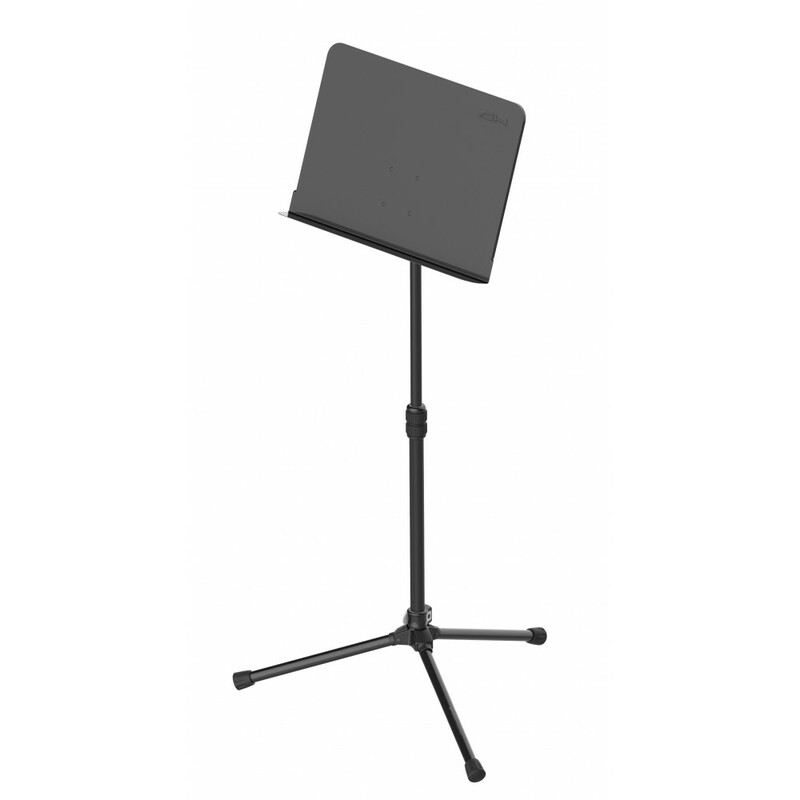 The central sleeve, also made of die cast aluminum, is covered with “soft-grip” durable rubber for a firm and secure grip. Supplied with nylon carrying bag for easy transport. Available in matt black.